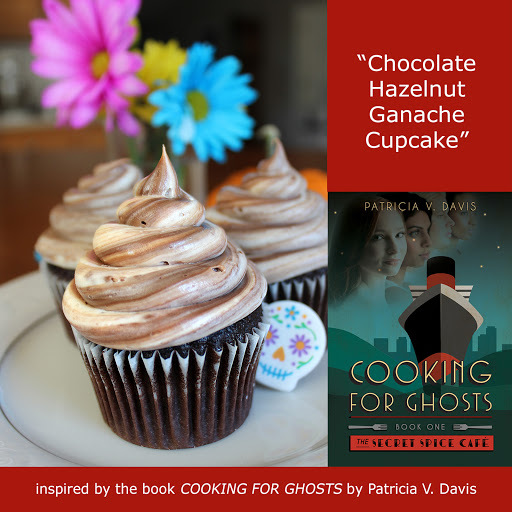 I recently read Cooking for Ghosts by bestselling author Patricia V. Davis, and fell in love with the food mentioned in the book. 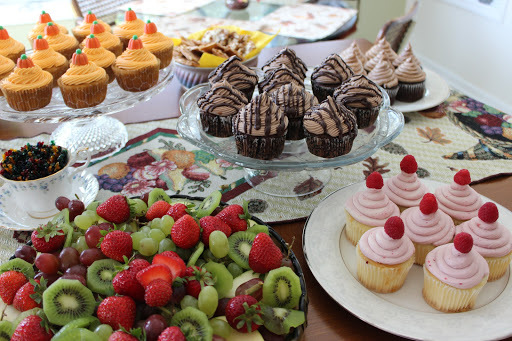 In particular… the cupcakes. I’ve had a weakness for cupcakes (aka cuppy cakes) for years, and that hasn’t changed. So when I’m reading along and Angela mentions “Jack-O’-Lantern Spice” cupcakes, and the “Hazelnut Ganache-filled” cupcakes, along with a lot of other yummy pastries and treats… well, I knew I will be craving those flavors until I get in the kitchen, make a little mess, and put the last icing swirl on a batch of cupcakes. Ms. Davis also mentions a Devil’s Chocolate Decadence which I also imagined as a cupcake, and she mentions the Raspberry Chocolate Truffle Tart… which inspired me to add a fresh berry cupcake to this little collection as well. So here’s how I made four cupcakes inspired by the book, Cooking for Ghosts. And if you haven’t read it yet, here is a LINK so you can get your copy on the way. I’ll wait. 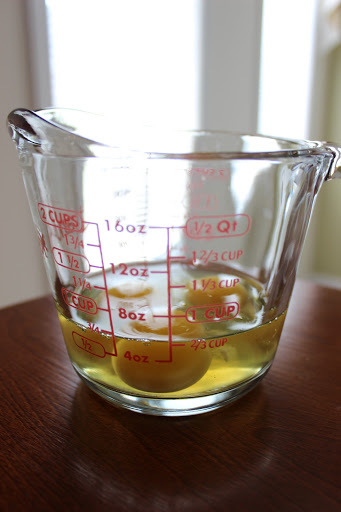 Go ahead and mix all that until the eggs are fully incorporated… then add one Duncan Hines Devil’s Food Cake Mix. Shhhh… that’s our little secret. (Pay no attention to the directions on the packet!) Nobody has to know how ridiculously quick and easy this cake comes together. Take a moment to imagine Angela slaving away in the kitchen of the Secret Spice Cafe to make her cakes, sifting every last granule of flour and whipping the eggs to white fluffy peaks…. sounds delicious, right? (We’ll be done before she is!) Hehe! 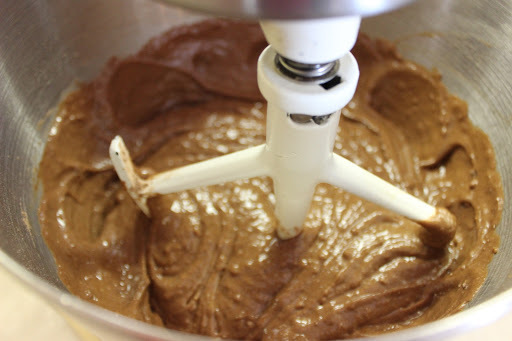 Watch the batter closely and stop the machine when the batter looks like this… still kind of lumpy. And start filling those cupcake liners. Bake the cupcakes at 350 degrees for 20 minutes to start with, then keep a close eye on them. At the point that you can touch them lightly and they spring back, they’re done. My handsome husband prefers the clean toothpick test, and that’s also fine. The important thing is to get them out of the oven before they start drying out. The applesauce and oil make this recipe moist, but even that won’t be enough if they are over baked, or left out to dry on the counter. Not to worry, these cupcakes are going to be pampered every moment of their SHORT lives! 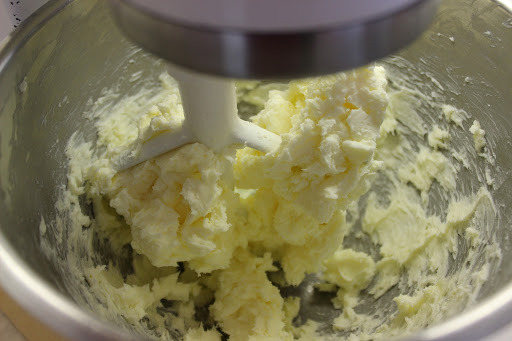 While that cake is in the oven, it is possible to start the Ridiculously Easy Buttercream! 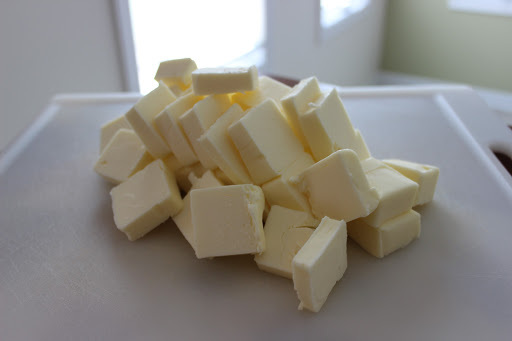 So here goes… pull one pound of fresh sweet cream butter (salted) straight out of the fridge and cut it into chunks. …to this light and fluffy cloud of butter. Gently add one pound of powdered sugar a bit at a time, and wait for it to return to this lovely fluffy texture. Add a teaspoon of good quality vanilla. It really is that simple. 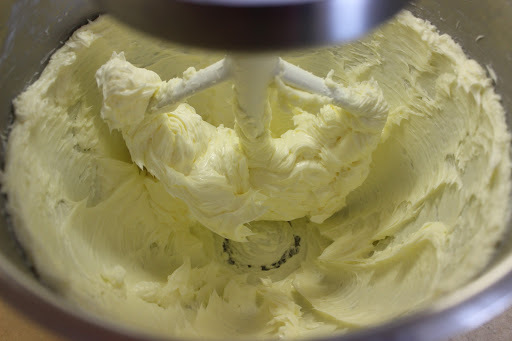 This buttercream it lovely, light, and airy, and not too sweet. If you accidentally add a bit too much powdered sugar, no worries, just add a teaspoon of water at a time until it’s the consistency you like. Now here is where it gets fun. 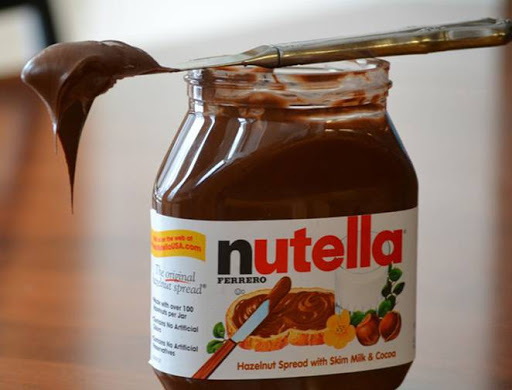 I have a real weakness for Nutella! 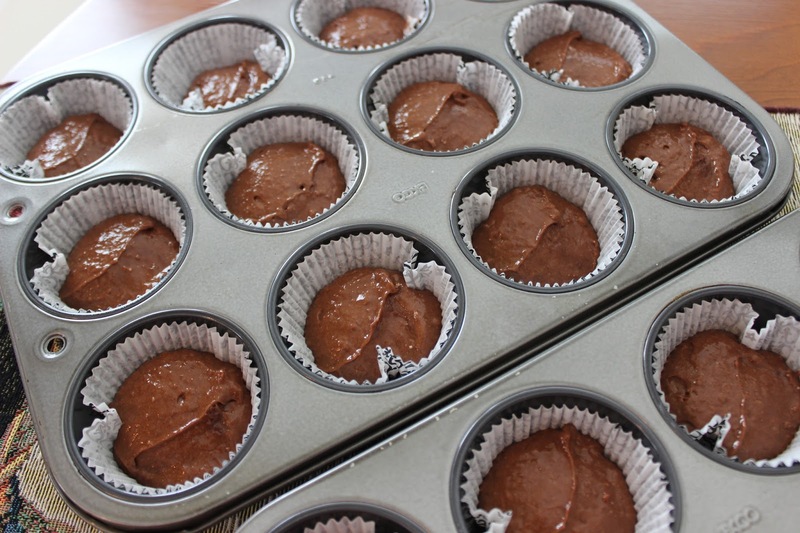 And so when I saw “Hazelnut Ganache-filled Cupcakes” in Cooking for Ghosts… I reached for the Nutella. It’s delicious and all the work is already done for you! Mmmm. 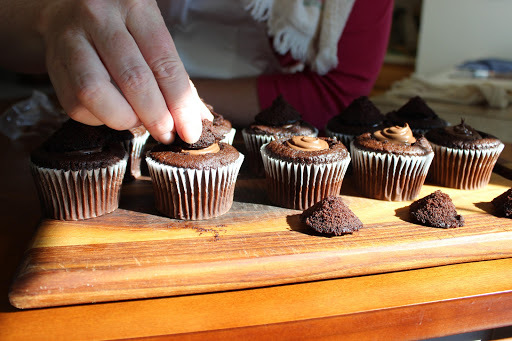 Here’s the secret: begin by cutting a little cone shape out of the top of each cupcake. Then fill the divot with Nutella. I used a pastry bag to pipe it in place, it is fast and easy. Just like that, and done! Then put the little cones of cake back on the tops of the cupcakes. This makes them look like they have little pointed heads. 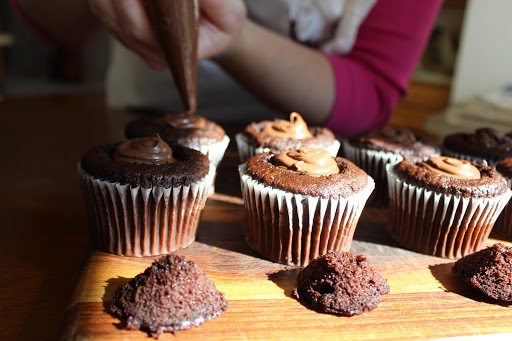 Here’s how I made the icing for these Ridiculously Easy Chocolate Hazelnut Cupcakes. Curious? 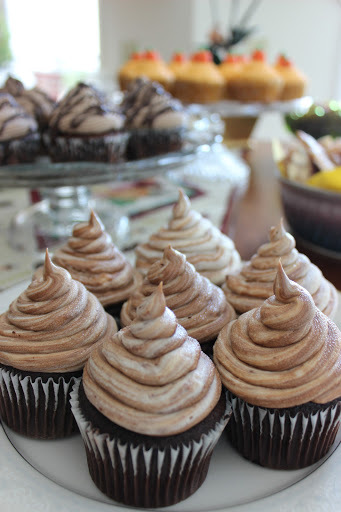 Take out your Nutella container, spoon a big healthy dollop of Nutella right into the buttercream. That was easy, right? Now stir with your spatula. 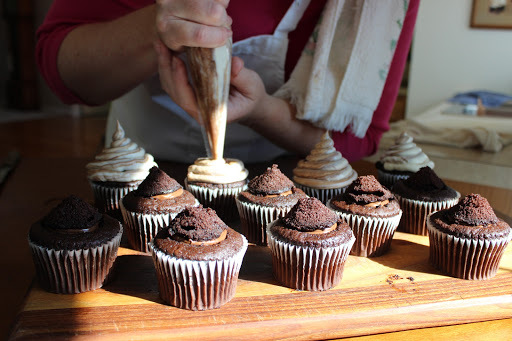 Just a few stirs, you want to leave lots of yummy stripes in the buttercream so *just barely* stir together the Nutella and the buttercream. What could be easier? 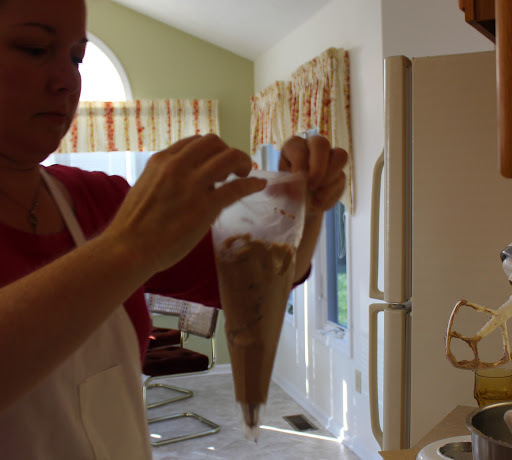 Here’s the easy way to fill the pastry bag. Find a glass that is the right size, fold the tip up at the bottom, and put it in the glass, wrapping the ends of the bag down over the side of the glass. If you don’t have a pastry bag on hand, just use the end of a sturdy plastic bag that you do have. Fill the bag with icing. 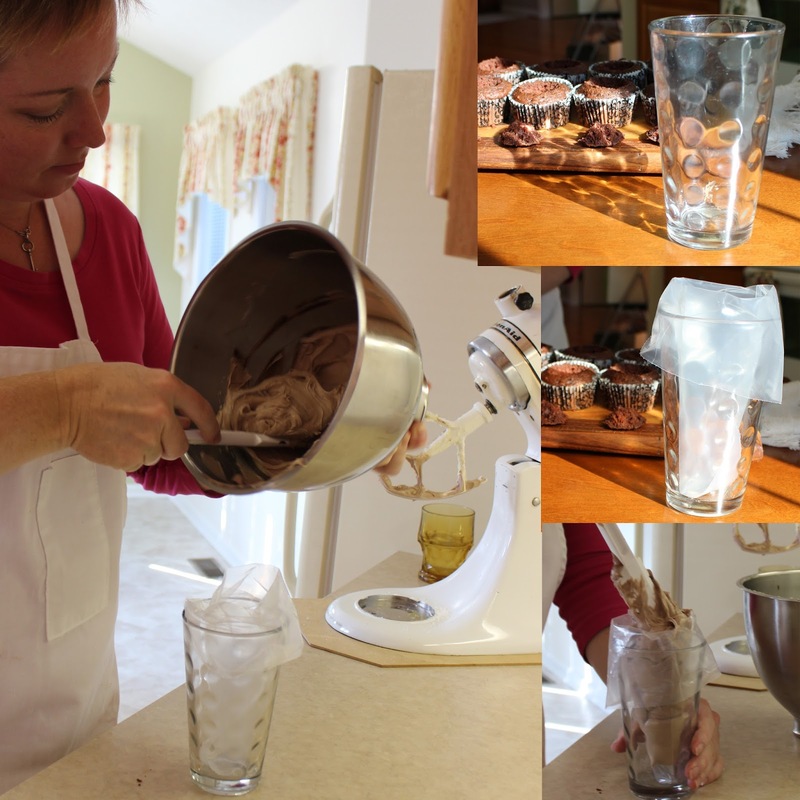 Then once you have the icing bowl out of your hands, pull the bag out of the glass, close the top to avoid adding air bubbles, then give it a twist to close the bag completely. Tie it closed with a twist tie if you want to. Trim off the tip of the bag with a scissors and you’re good to go. Keep your thumb tight against your hand to keep icing from coming out the back of the bag. Then carefully pipe the icing around the sides of the cone and finish with a little swirl at the top. 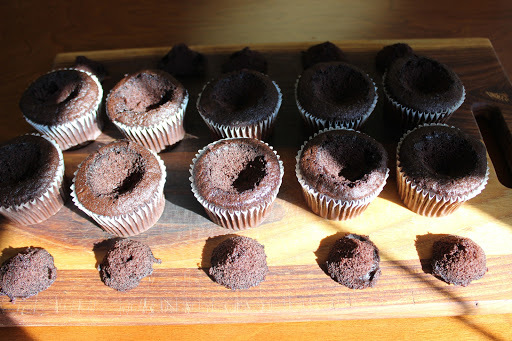 If the cupcakes will be sitting out for very long, then be sure to cover as much of the cake as possible to keep them from drying out. Here they are, my Ridiculously Easy Chocolate Hazelnut Cupcakes inspired by the book Cooking For Ghosts by the delicious Patricia V. Davis. Tada! Now… isn’t it about time for our book club meeting? 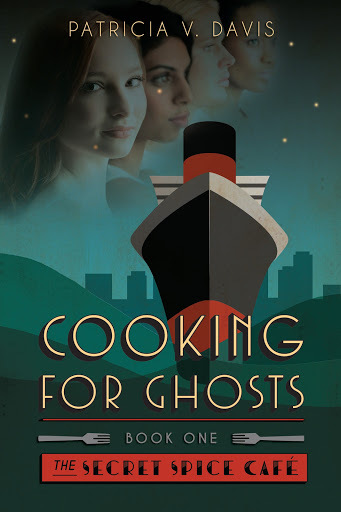 Stay Tuned for more great recipes inspired by Cooking for Ghosts and created by me. 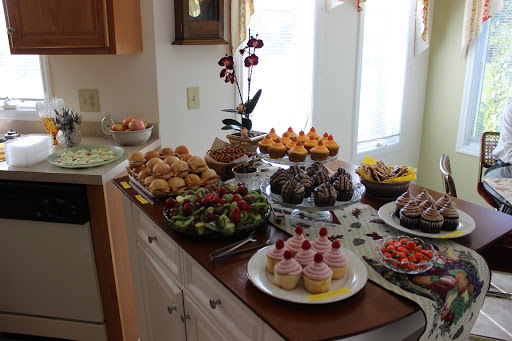 Book club was never so delicious! 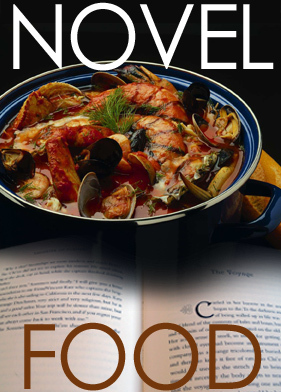 I’ve entered this recipe in Novel Food #28 which is a collection of recipes inspired by novels which is a delicious concept! I’m pleased to enter this recipe as well as my recipe for Shrimp Rohini. Novel Food is the brain child of Simona Carini, and there are lots of delicious recipes of her site. 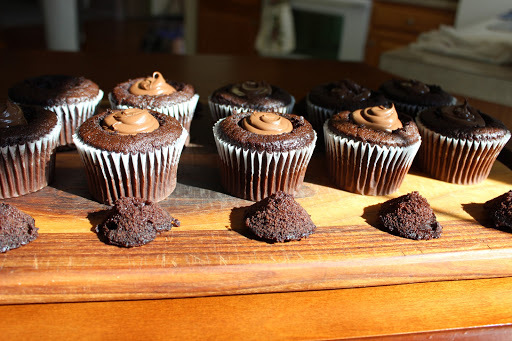 And thank you Ms. Carini, for including my Ridiculously Easy Chocolate Hazelnut Cupcakes. It is clear from your post that you love cupcakes and put a lot of thoughts into making them fun for the baker and delicious for the guests. I suspect you'll be soon getting an invitation to join the staff at the cafe on the Queen Mary 😉 Thank you so much for another lovely contribution to Novel Food. You are so fun! Thank you. Yum! Her Majesty would approve! What a wonderful compliment to my novel. I'm honored!